I finally found the one that will stay with me forever. Everyone, relax. I’m just talking about lipsticks haha! :) Remember my blog entry about the photoshoot I did for Nikon as one of their brand ambassadors? (No? Click here) I loved the MAC Candy Yum Yum lipstick the makeup artist, Nanan, applied on my lips so much that I’ve been having dreams about it. Okay fine, not really dreaming about it but you get what I mean. After searching high and low, I finally found something similar to the sold-out MAC lipstick. It’s actually really good and waaaaay cheaper. Tada!!! It’s the same lipstick I used in my previous post. Doesn’t it look so Candy Yum Yum? 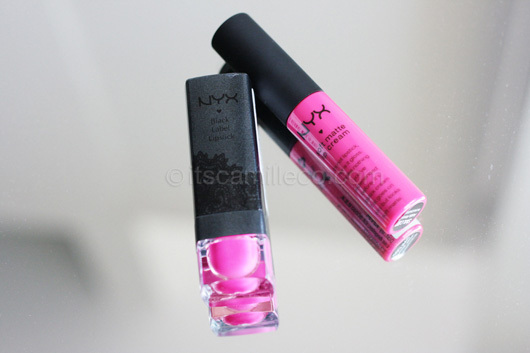 :) I’m using Nyx products purchased from Digital Traincase. I used 2 lipsticks. 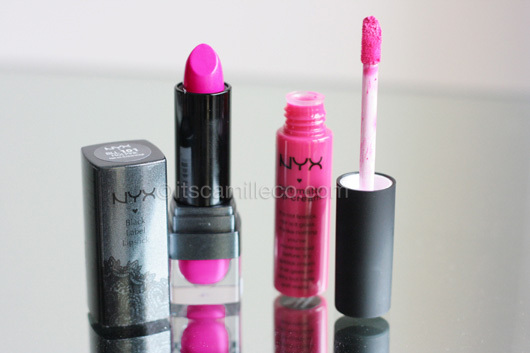 I used the NYX Black Label Lipstick in Hot Pink first then applied the Nyx Soft Matte Lip Cream in Addis Ababa. Actually, to get the Candy Yum Yum color, using the Addis Ababa alone is good enough. I just wanted the color to pop out more which is why I applied the Hot Pink on first. Can I just say, the color on my lips lasted FOREVER!!! It’s been my frustration for the longest time to find that one true longlasting lipstick. I’ve tried so many high-end make-up brands but none of them delivered. I think the longlasting effect was due to the Nyx Soft Matte Lip Cream. It’s not a lipstick and feels more like a lipstain which is why I felt like I wasn’t wearing any lipstick at all! Plus, I didn’t feel any dryness or heaviness. I really recommend it. And unlike other lipstains, they come in a lot of colors too. I don’t know why it took me this long to discover this brand. And to think it’s been so near all this time! All I had to do was visit the Multiply Marketplace and click away. Thank God for online shopping made easy! I’m off to buy some more! Plus some shoes and clothes on the side too haha! Evil new Multiply platform is making me shop so much! I have both and love them both.